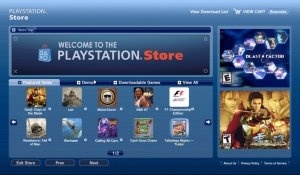 Sony is stepping up its efforts in the console wars with the announcement of a new movie download service for the PlayStation 3 launching this summer. Sony Computer Entertainment President Kaz Hirai made the announcement today, saying the service will be available in the U.S. sometime this summer, with a European and Japanese debut coming later. He also said Sony planned to strengthen its network services and cut production costs in order to bring the company's videogaming arm to profitability by March 2009, the end of the company's fiscal year. "Please expect more from our evolving PlayStation business," Hirai said at a Tokyo news conference, adding that specific dates for the launch of the movie service won't be available until next month. The addition of downloadable movie content for the PlayStation 3 is a big step in Sony's efforts to battle back against the Xbox 360 in the U.S. market. The 360 has thus far dominated the Sony console in the U.S., in part because it had the advantage of shipping a year earlier, but also on the strength of the Xbox Live Marketplace, which gives owners access to a large selection of multimedia content including movies, trailers and television shows along with more traditional gaming-oriented material such as games, demos and Gamertags. There's a long way to go, but if Sony handles this properly it could be bad news indeed for the folks at Microsoft. Good ide- oh wait Xbox has had that for how many years now? And they charge a subscription fee each year they've had it too whereas Sony's market is free to access. Nearly 1? 4 months in Europe? Sony should just block any Sony Pictures films from the XBL marketplace, might as well give themselves an advantage.